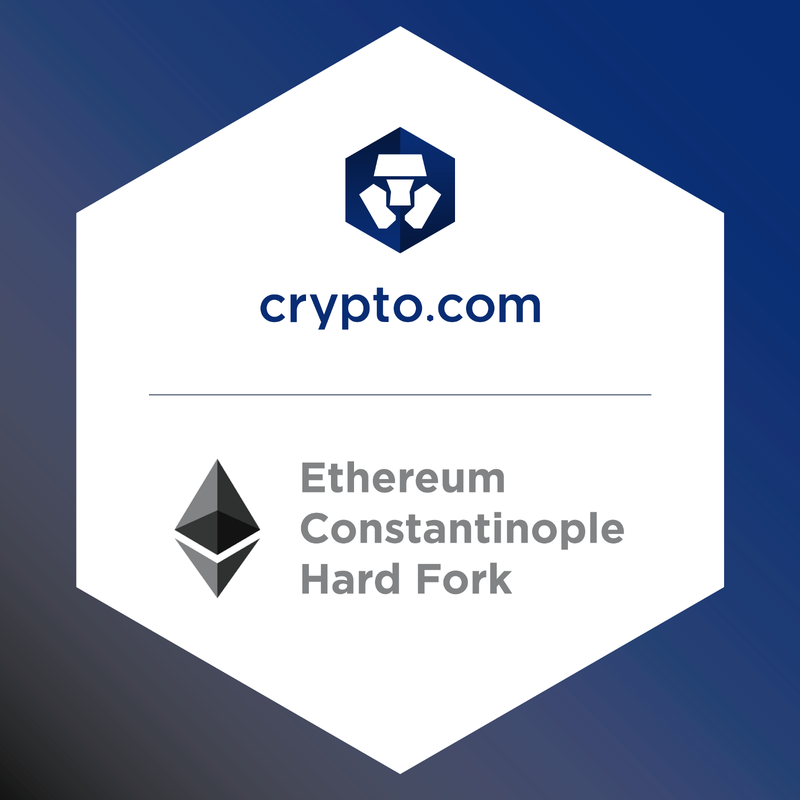 Update: Crypto.com has updated its infrastructure to adjust to the postponement of the ETH Constantinople Hard Fork and is monitoring the situation. Further details to follow. Deposits and Withdrawals Paused: For the security of your assets, before and during the intended hard fork, we will pause deposits and withdrawals of ETH as well as ERC-20 tokens, including BNB, MCO, and CRO, supported by the Crypto.com Wallet & Card App. Increased Confirmations Upon Resumption: When we resume services, we will increase the number of confirmations required to make a deposit from 30 confirmations to 100 confirmations for a short period until the network stabilizes. We appreciate your understanding during this time. Our team is closely monitoring the developments and will keep our users updated as more details emerge regarding the outcomes of the hard fork.